Description: January 25, 1968, Forrest County Circuit Court (Hattiesburg, Miss.) arraignment of suspects in the January 1966 murder of Vernon Dahmer and the firebombing of his house and store. 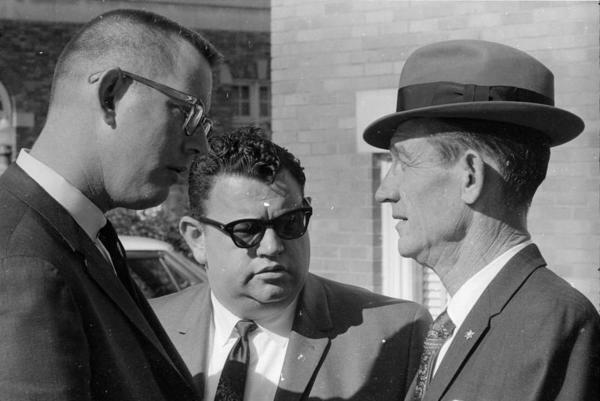 District Attorney James Finch (right) talks with County Prosecutor James Dukes (left) and an unidentified man.